John practices in a wide range of tax and corporate law matters, with particular emphasis on structuring foreign institutional, individual and family investment in U.S. Real Estate (FIRPTA) as well as Foreign Investment in U.S. based real estate funds, private equity, joint ventures and direct U.S. portfolio investments. John’s practice also includes representing fund sponsors with respect to their offshore investment funds formed to invest in U.S. real estate and infrastructure. 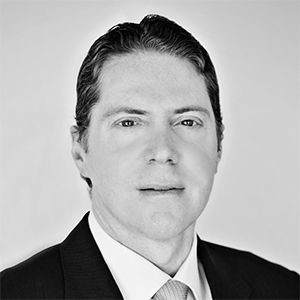 John’s experience includes over 20 years of New York law firm transactional tax experience, handling a wide variety of tax matters, including substantial inbound international tax structuring experience for Gulf Cooperation Council (GCC) region clients with respect to “portfolio interest,” “earnings stripping,” U.S. effectively connected income, withholding tax and FATCA. John’s practice includes both tax advisory and corporate legal implementation of foreign investment in the U.S. and thus John’s practice serves as a “one-stop” shop for the tax and corporate legal services required by his foreign clients with respect to structuring and documenting their U.S. private investments and fund sponsors with respect to structuring and documenting their offshore investment funds. On the outbound side, John’s practice includes advising his U.S. based clients with respect to their outbound international business activities, including tax planning under controlled foreign corporations and Subpart F, PFIC, U.S. tax treaties and foreign joint ventures. On the domestic side, John’s tax practice includes structuring and negotiating LLC agreements, limited partnership agreements and advising with respect to shareholders agreements and investment manager compensation arrangements. John has substantial experience with respect to many complex issues of Partnership Taxation and has lectured on the topic. John also has extensive experience with domestic and cross-border M & A. Before forming his own law firm, John was associated with the law firm of Mayer Brown. He is a graduate of Oberlin College, Tulane Law School and has his LL.M. in Taxation from New York University Law School. John is admitted to practice law in New York and Florida. Current Member, Committee on Taxation of Business Entities of the Association of the Bar of the City of New York. Panel Member and Speaker at the Association of the Bar of the City of New York CLE Program on the IRC 385 Treasury Regulations for Shareholder Loans focusing on cross-border transactions.